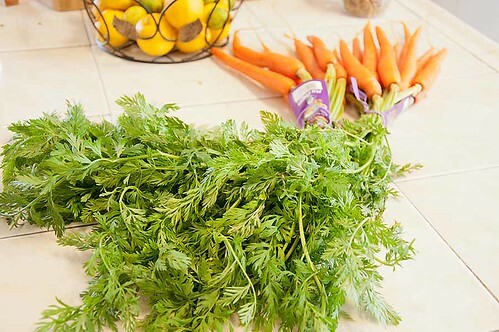 Beautiful carrot tops, too beautiful to throw away. Not really knowing much about them, I decided to ask my cooking group, and do a bit of Google-ing to see what they are all about. I found out that besides being highly nutritious, they can be a bit bitter. The greens I have aren't really all that bitter, might be because I bought organic baby carrots. 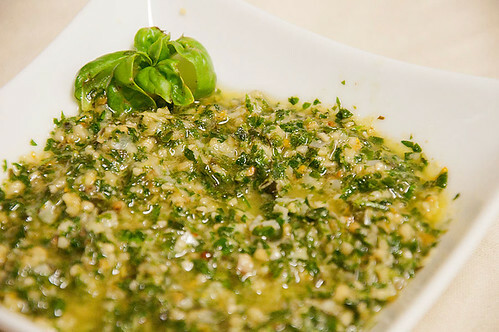 After a bit of poking around the net, and talking to my cooking group, the majority of whom thought I should feed it to the horses or compost pile, (peasants, I tell ya, peasants) ;-) I decided to add them to some basil and make a citrus-y pesto. In a food processor, add one cup of carrot tops, minus the stems, one cup of basil, one third cup of toasted pine nuts, two cloves of garlic, the zest of half a mandarin orange, and the juice from that half of the orange. With the processor running, drizzle in enough olive oil to make a smooth paste, add about one third cup of Parmesan cheese and pulse a couple of times. Remove to serving bowl and add half a teaspoon of salt. It's really wonderful, the citrus lingers in the background and adds a bit of freshness. 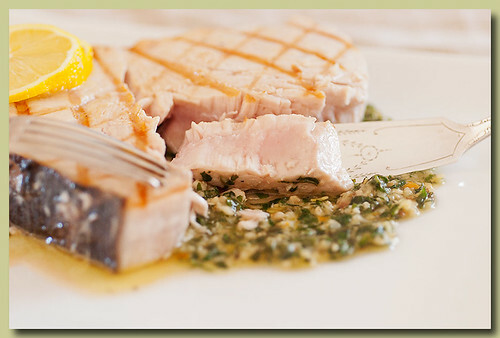 Today's lunch was a grilled wild caught swordfish steak served on the pesto. OMGosh, you have to make it.